Ozu's Late Spring has been on my mind again lately after seeing Claire Denis’s sublime reimagining 35 rhums (a contender for the best remake of a great film ever made, notwithstanding the upcoming Japanese remake of Sideways), so what better film to kick off Movie Poster of the Week on The Auteurs? I found this Dutch one-sheet on a trip to Amsterdam in 1997. Caught in a rainstorm in the Vondelpark my wife and I ducked into the Netherlands Filmmuseum which was deserted save for a couple of racks of posters for sale. I remember picking up a Chungking Express poster for a friend but this was the real find. Designed for a 1990s Filmmuseum re-release, it is screen-printed in gold and black—and thus even more gorgeous in person. From the small print I recently discovered that it was designed by Naim Niebuur and Luis Mendo of Lava Graphic, a company that seems to be still going strong in Amsterdam, though not designing many movie posters. And I was even able to track down the website of the printer, Wyber Zeefdruk or Wyber Screenprint, a printshop that has been running for 30 years. 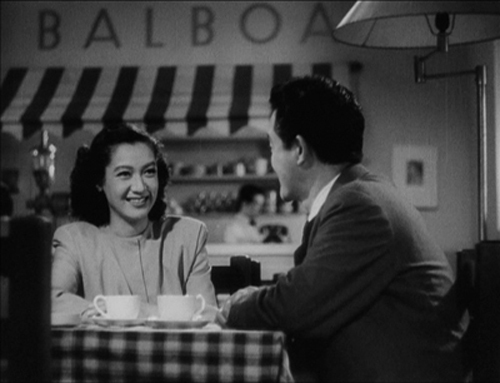 The shot of the ever-radiant Setsuko Hara in the poster comes from a scene about 30 minutes into Late Spring, when Noriko meets her father's assistant Hattori at the Balboa Tea & Coffee House (the sign is notably in English), hence those beautiful gleaming white (and not very Japanese) coffee cups in the foreground. There is, however, no exact shot match for the photograph in the poster, which must have been a publicity still. 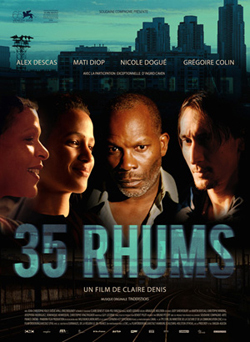 Meanwhile, the modern-day Late Spring, 35 rhums, has alas been saddled with a French release poster that makes it look like a straight-to-video thriller. 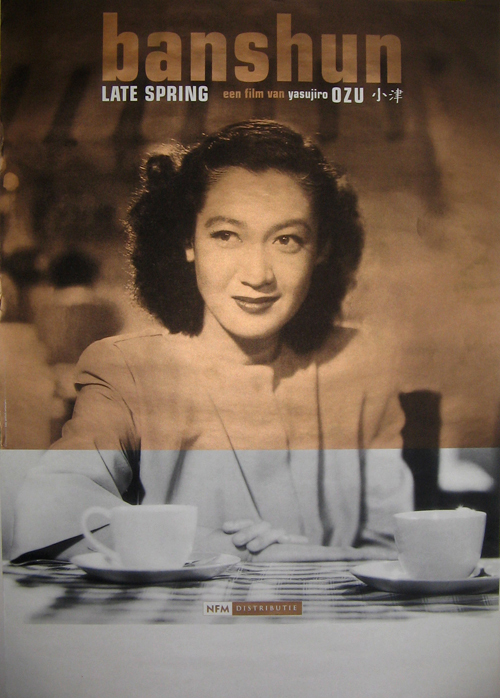 Someone give Mati Diop (or Alex Descas for that matter) the Setsuko Hara treatment! It’s great to see an Ozu poster that doesn’t used a collage of the actors in the film as it’s main graphic…ironically that seems to be what the 35 rhums poster is doing! Great find. 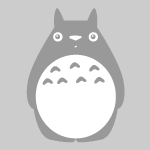 Great image that instantly conjures up that sublime movie. Great! Now I can look forward to 35 Rhums! Not my favourite poster for Banshun. I would very much prefer the one with Ryu and Hara in the bridal costume. Hi, is this the first post of Movie poster of the week ever?